Disney still has the magic. Its Disney+ streaming service will be priced at $6.99 a month, a big challenge to Netflix and others in what’s already a crowded field. Though the service won’t begin making money for about five years, investors loved it anyway. That, plus positive bank earnings and a big Chevron deal, helped push the S&P 500 toward another record. Yep, turns out humans are listening in. Amazon hires thousands of people around the globe to “review” some of Alexa’s voice commands. Privacy, it turns out, is taking a backseat to teaching computers. The weather-vane-like “angle-of-attack” sensors on airliners can be vulnerable to damage. Their use was especially complicated in the recent crashes of two Boeing 737 Max’s that together killed 346 people. Brexit is postponed until Halloween, which, coincidentally, precedes the Day of the Dead. Here’s what Brexit is already costing British business. Bloomberg News knows a bit about ranking wealth. So, with its final season beginning Sunday, we thought this was the moment to take stock of the nine leading families in Game of Thrones. But how to weigh the upkeep and benefit of a dragon? Mueller’s redacted Russia collusion report is expected any day. Pepsi, Netflix, IBM report earnings; all eyes are on the second half. The Apple vs. Qualcomm trial begins. The CEOs are set to testify. Indonesia goes to the polls on Wednesday. China reports first-quarter GDP. Growth probably slowed. The business of helping you recover from the evening’s excess is booming. 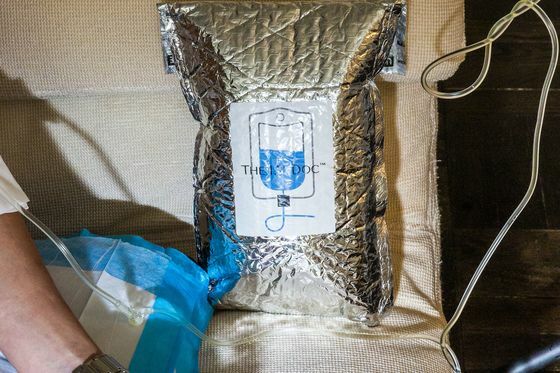 Once a hush-hush luxury for the discreetly-pampered, treatments using intravenous drips to cure hangovers are hitting the mainstream from New York and Las Vegas to London and Dubai. Nurses stand ready to care for the dehydrated—alcoholically and otherwise.